Out Now! 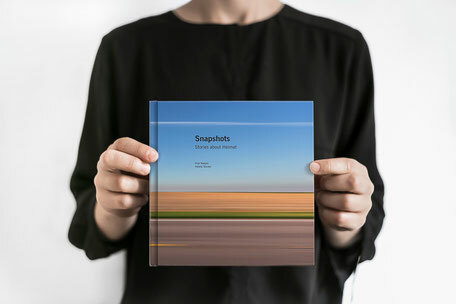 "Snapshots. Stories about Heimat" is published! Home is where your heart is. This is what people say, who live in the same place for generations, but also these people who were led to a new place by coincidence, by jobs or by love. People tell various stories about home, "Heimat". Some stories are characterized by wanderlust, family bonds, the love for nature, some are marked by loss or illness. We traveled across North America by bicycle for seven months: 8.500 kilometers from Halifax on the Canadian East Coast to San Francisco on the west coast of the USA. Many times we've been engaged in small talks in front of supermarkets, in discussions on the roadside, in long talks about everything under the sun. Followed by invitations to homes and stories about life. Like the story of a man who moved to the desert just to start building boats or the story of a homeless gold panner who lost everything exept his mobile home and his two dogs. Stories about wild fires, about living in the bubble of an ideal world, about a cuckoo clock and about children who are fed up with country life. 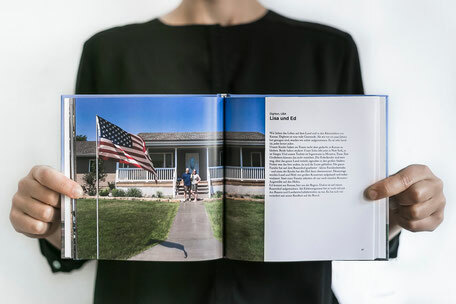 From these short encounters on the roadside we developed a portrait album of people from North America. 30 texts and photos tell about why people are connected to a certain place and why they call that place home. More infos about the book project are here. You can order the book (only in german so far ...) in our online shop here.